Rainbow unicorn tights! 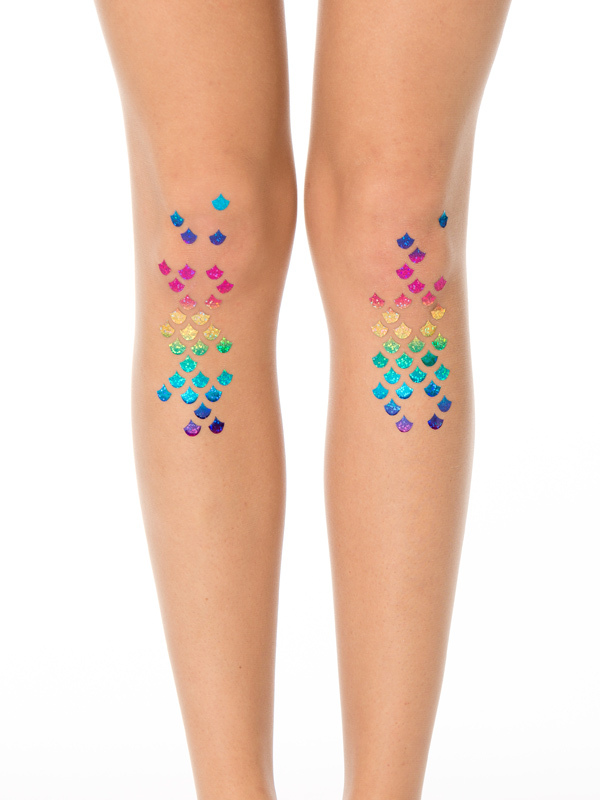 The glitter rainbow scale pattern definitely draws the eye to your legs! 15 denier tights. Wear them at the front or the back of your legs.